In the late 2000s the Izhevsk Mechanical Plant developed the GP-34 grenade launcher, which entered the inventory off the Russian Ministry of Defence in 2009. It is an upgraded version of the GP-25 grenade launcher. The objective consisted in increasing the production effectiveness, the handling safety, and the reliability of the grenade launcher. The trigger assembly was modified with this end in view. 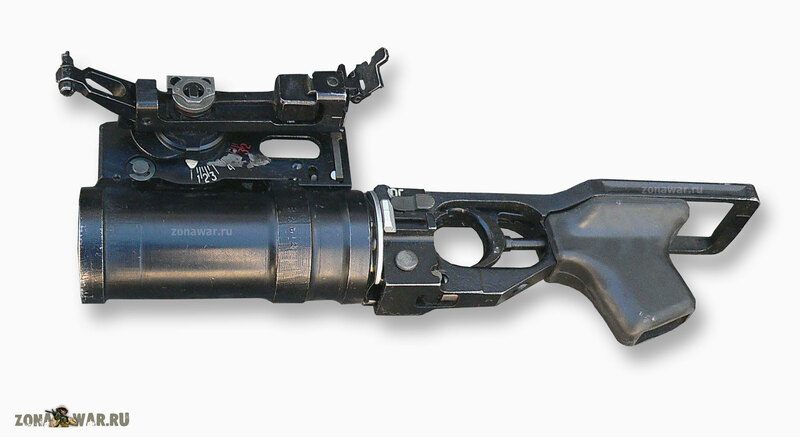 The organic iron sight was modified and moved to the right side of the grenade launcher. The ballistics of the grenade launcher have remained intact.